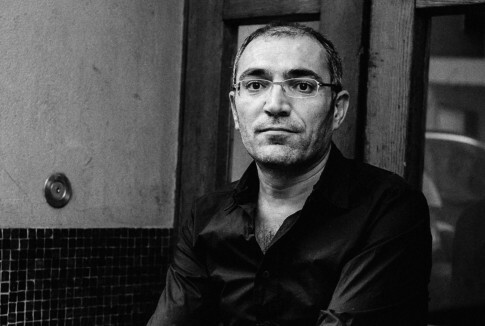 A prose writer, a political activist, born in 1973 in the Kurdish village of Tunceli (Dersim until 1936). At home, the family spoke the language of Zazaki, he learned Turkish only at elementary school. At the age of 19, he was arrested and criticized for his political activities and spent over 10 years in prison. There he wrote the novel Gece Kelebeği [Night Butterfly], drawing from his mother’s and grandmother’s memories of the Kurdish uprising in Dersim, but the text was confiscated, and he reconstructed the book from his memory after his release a few years later. Currently, he lives in exile in Switzerland. The most famous is his novelist cycle about the brutal suppression of the Dersim Rebellion in 1938, of which two parts have already been published: the already mentioned Gece Kelebeği [Night Butterfly] and On İki Dağın Sırrı [The Mystery of the Twelve Mountains], Bir Göz Ağlarken [When the Eye Cries]. He is currently working on the third part.